The weekend is here and we are finally ready to settle in for some long-awaited relaxation with our favorite pastime, our iPhone (and for some of us, our Apple Watch). If you are looking for content to add to your favorite iOS device, we’ve got a list of apps and games you might want to take a look at. 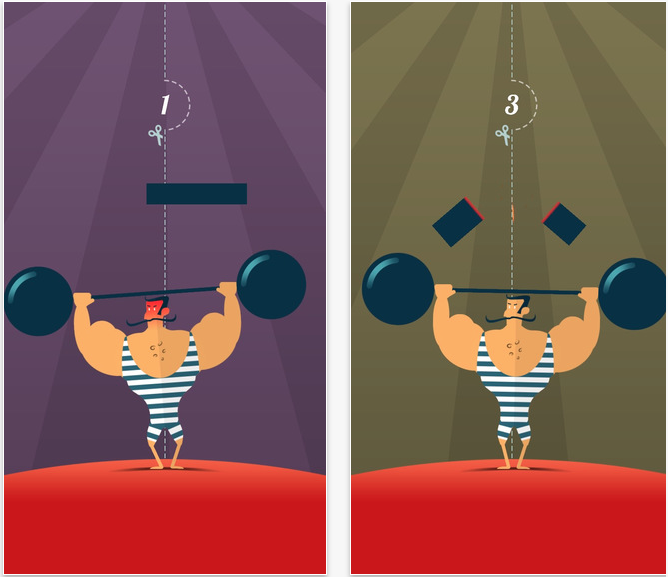 In this turn-of-the-century themed game, players must help a strongman named Gustav keep his balance while building up the weights in his barbell. Your job is to slice a brick of lead in half by tapping the screen at the right moment. One side of the brick falls to one of his barbell and the other side falls to the other brick. If you don’t cut it exactly in half, he will start to tilt to one side. Then, you must adjust the next brick’s portion accordingly to even out his barbell. The more you succeed, the larger his weights get. This game is available for free. We’ve come a long way with digital handwriting technology, but nothing beats the old pen and paper when it comes to sketching, doodling, and writing notes. This app gives you a little bit of both. After you have finished using pen and paper, scan your image and watch it transform into a digital rendition that can be fully edited. The technology makes it possible for you to edit files as if they were pixel-based images, but provides clear, sharp lines when zoomed in closely. 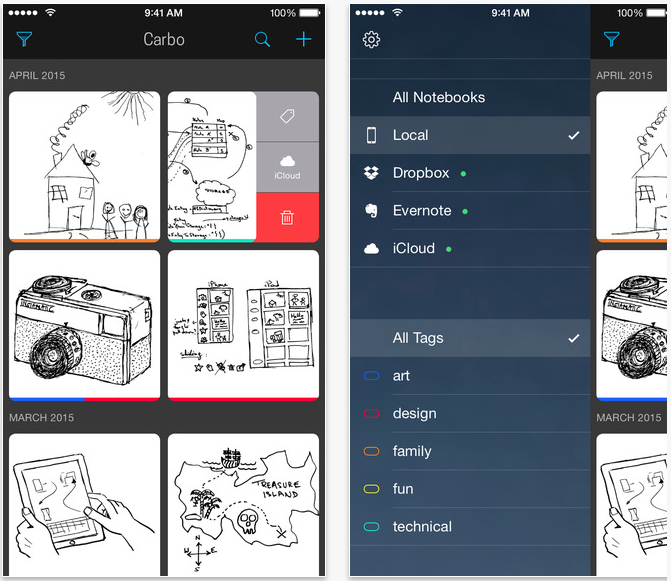 Everything is also stored in the cloud and you can organize your files using tags. This app is on sale for $3.99. If you like to play epic role-playing adventure games, but just don’t seem to be able to find the time, this mini version should keep you satisfied for a while. No more wandering around complex dungeons, trying to find your way to the end boss. 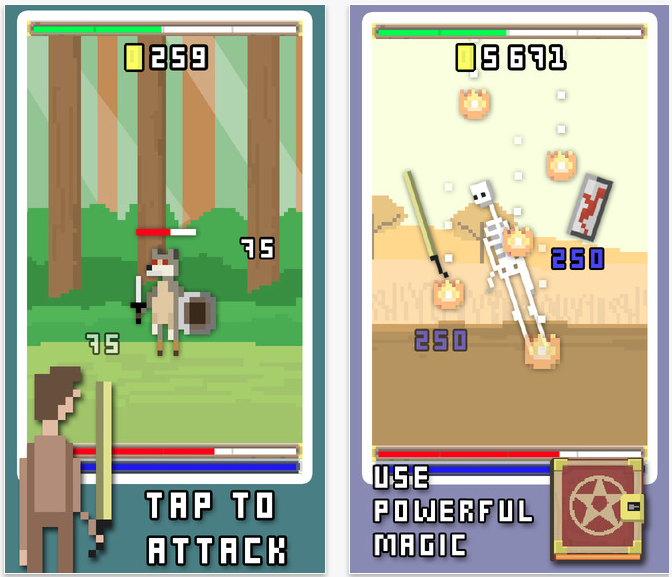 In this game, players tap across the world, fighting dangerous creatures and looting treasures for rare equipment and power ups. You can research spells to level up your hero and fight the ultimate boss. The stronger you get, the more powerful you become and the more powerful your enemy becomes. This game is available for free. Sometimes, pictures are more than just the images they capture. Sometimes, a feeling or sentiment can be relayed. This app helps you design your images with beautiful fonts and styles so that they tell a story with words and illustrations. 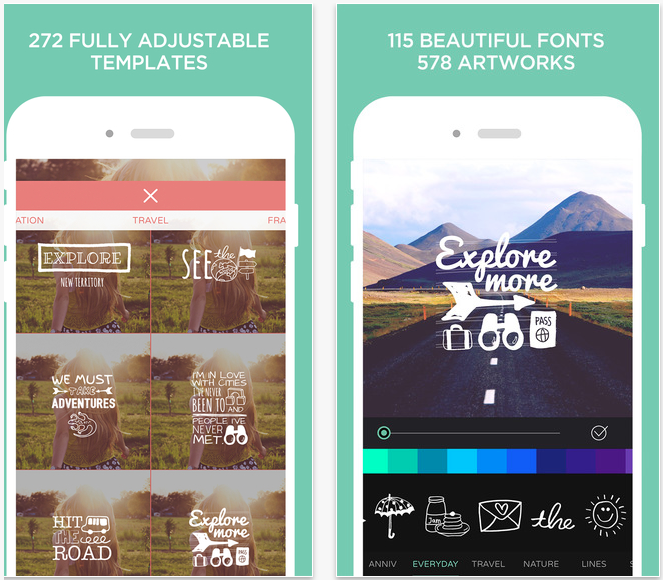 There are 272 premade templates with overlays and filters. If all of that is too daunting, tap the shuffle button for a random Cover. If you want more control over the outcome, choose from a huge supply of filters, fonts, and illustrations and customize your look. This app is available for $1.99. Amazon Game Studio has just launched their second iOS game. This one features a girl trapped in a haunted house. You must help her survive until the morning by killing monsters throughout the night. Tap the screen in the designated spot at the exact right moment to smash a fiend into the nightosphere. In addition to killing baddies all night long, players search for clues to escape the haunted house. 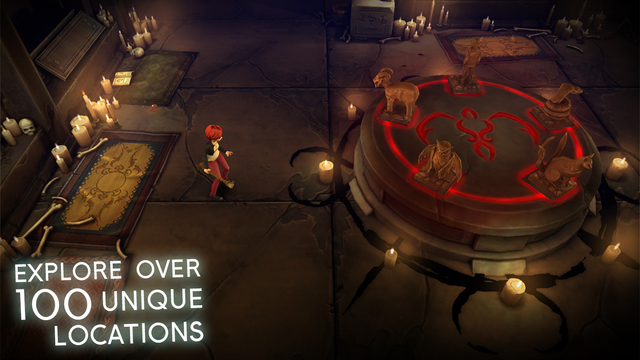 Solve puzzles to unlock doors. Collect items that will help you in the future. You may be trapped in the house, but you won’t be bored. This game is available for $6.99. Collaborative video editing is the new trend. Why be alone in your creation when you can share it with others who can add their own flare? 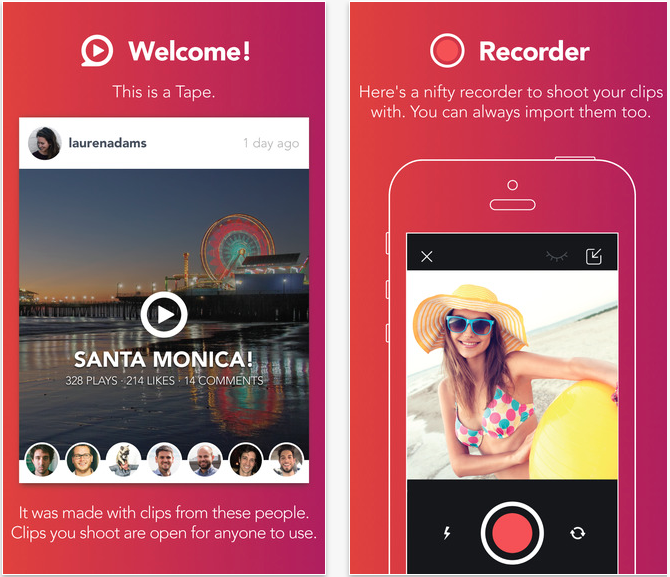 With this app, you can record video clips and upload them to share with others. Your friends can help you trim, arrange, and edit your movie. You can also get help from other members of the Tape App community. You can even send a request to a friend to join your project. Others can submit their own clips directly to a project you are working on. Anyone who collaborates with you will automatically have their names added to the end credits. This app is available for free. 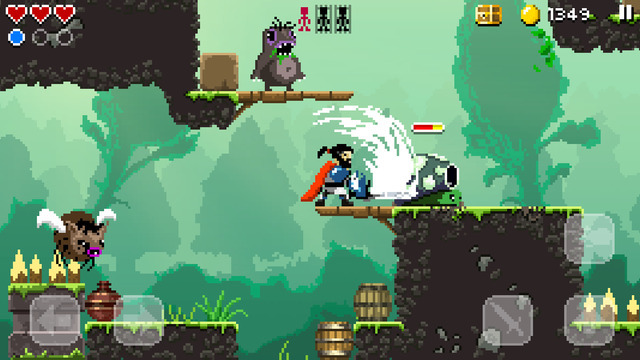 In this pixel-heavy platformer, players control Xolan as he jumps, dives, and runs across multiple levels. Along the way, collect coins, increase health, and save villages that have been imprisoned by an evil sorcerer. You will also be face-to-face with a number of different enemies, including zombies, spiders, and fireball-tossing goblins. You can also toss fireballs yourself, to hit enemies that are too far away to slice up with your sword. Us on-screen button controls to move and attack throughout the levels. This game is available for $0.99.